This is a tender port. 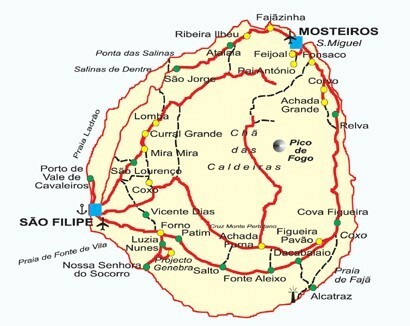 Tenders will bring you to Sao Filipe, the main town on the island. Not all ships stop here and will just circle the island. The volcano on Fogo is its main attraction, whilst the historic city of Sao Filipe and Cha das Caldeiras in the volcanic crater receive most visitors.